This article will detail the effects of a commercial data warehouse for manufacturing and distribution organizations utilizing Microsoft Dynamics AX for their financials. Data is the rightful buzzword for this era of business, perhaps especially for manufacturing and distribution organizations trying to meet their roadmap goals. As data continues to grow in size and significance, data warehousing becomes a related task for modern business. Even if you know a thing or two about data warehouses, you might have some questions or curiosities about them and how they relate to your manufacturing and/or distribution analytical processes. Who manages a data warehouse? Are they like anything besides an OLAP cube? At what point should a manufacturing and/or distribution corporation install one? Cloud or on-premise? How do we set up a data warehouse? As a manufacturing or distribution Microsoft Dynamics AX customer, you likely have at least one of these questions. This article will do the work of answering some of the more frequently asked questions, so you can more clearly see how data warehousing can be a solution for data management objectives with Microsoft Dynamics AX. This article discusses the modern, dynamic, and business user friendly financial reporting options available for Healthcare organizations using Sage 100. It has been a while since I have blogged, and in that time, I have had several great opportunities to talk to finance and accounting professionals, as well as executives, about their Business Intelligence (BI) and Corporate Performance Management (CPM) needs. Some of these conversations happened at BI360 Focus 2016, some of these manifested as one-off conversations, and one even occurred on a flight to Portland. Lately though, it seems like I have not only been in conversation with more healthcare professionals, but I’ve also found myself personally and professionally curious about this industry. The healthcare industry seems to be one of the most complex and regulated sectors – and for good reason obviously, but the effect it has on financial reporting requires sophisticated, yet business user friendly BI tools. The best financial reporting tools for Sage 100 users offer Healthcare-specific data management that produces the necessary financial reporting and/or dashboards. This blog article will focus on modern financial reporting with Sage 100. I’ll first discuss the bigger picture of what you should be looking for to achieve your financial reporting and analytical objectives. Then, I’ll zoom in on the financial reporting modules delivered by certain, more dynamic products that can enable Healthcare organizations to produce traditional financial statements, meet regulations, and present information to key stakeholders and decision-makers. This article will focus on the process of preparing for a successful data warehouse implementation. This article will explore financial reporting features and functionalities in today’s solutions for manufacturing organizations looking to expand their Sage 100 experience. In today’s business world, Business Intelligence (BI) and analytics are becoming the modern way of turning valuable company data into rich decision-making for a company’s future. Navigating through BI is much like maneuvering through the wilderness without a map or a compass. It can get overwhelming, but I’m here to help. 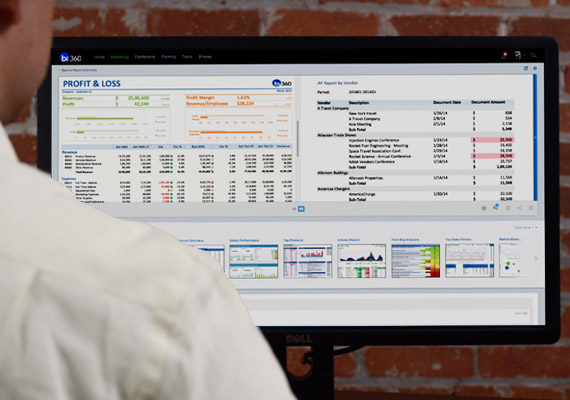 This article will focus on what users should know about in modern reporting solutions to improve your Sage 100 experience, specifically zooming in on manufacturing data management and analysis. This article will zoom in on the impact of a data warehouse solution for manufacturing companies using Sage 100. Corporations use data to set and meet goals in order to stay on budget. A data warehouse is a powerful tool to organize and strengthen Business Intelligence (BI) analyses. A data warehouse (DW) is a multi-dimensional database that can store a large amount of data, collected from an array of sources within a company and utilized to guide management decisions. The information in data warehouses can be used for things such as scheduled budgeting, reporting, and dashboards or higher level performance data questions. They structure around the subject, so they focus the interaction through organizing by topic such as customer, product, or sales. As a manufacturing company using Sage 100, you may want to know the impact a data warehouse solution has for your company. In this article, data warehouses for Professional Services organizations will take center stage, with a focus on expanding Microsoft Dynamics AX analytical processes. Data is increasingly more important in today’s business world, perhaps especially for Professional Services organizations. As data informs decision-making at all levels, Professional Services organizations are striving to stay on budget and on track with projects, vendors, clients, and so forth, a data warehouse can be positively impactful in supporting Business Intelligence (BI) analyses. If you’re new to data warehousing as a solution, you might have some questions. This article will go about answering your questions about data warehousing as a Professional Services organization using Microsoft Dynamics AX.